Naturalean with 7-Keto®3 / 30 Veg Caps - Nature's Way®. 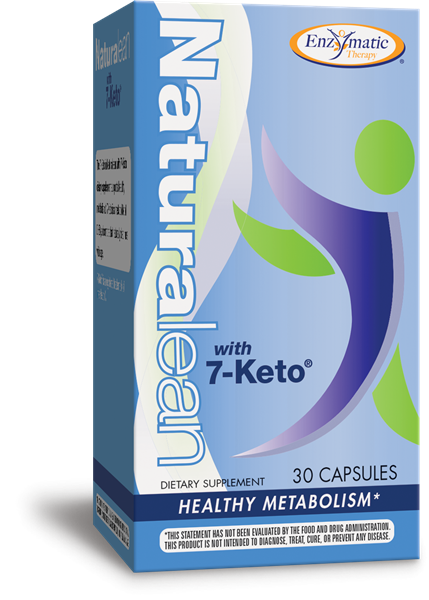 Why use Naturalean with 7-Keto®? Take 1 or 2 capsules daily. If pregnant, nursing, or taking any medications, consult a healthcare professional before use. ††7-Keto® brand 7-oxo-dehydroepiandrosterone-3ßacetate (U.S. Patent 7,199,116). Superior absorption as compared to regular green tea extracts.